Currently on sale!! Milkbbi is really cool because he is an independent artist. Supporting small businesses is the best. B&N has a lot of bookend variations in addition to this one if you're interested. I have these in blue owl shapes. This comes in a bunch of patterns! Sadly I noticed these are out of stock but I couldn't resist adding them to the list because they're by one of my favorite artists. I go to her store a lot and take papers like these. They use as tags for the clothing they sell, but have them for free near the postcards advertising their gallery shows so I use them as bookmarks all the time. Maybe this could inspire some DIY bookmarks made of postcards from art galleries? I have gotten these Tokidoki calendars for the past 2 years. The art in them is amazing and I always keep them around when the year is over so I can hold on to the art prints. I actually have some similar to this that I hardly use because they are so cute. 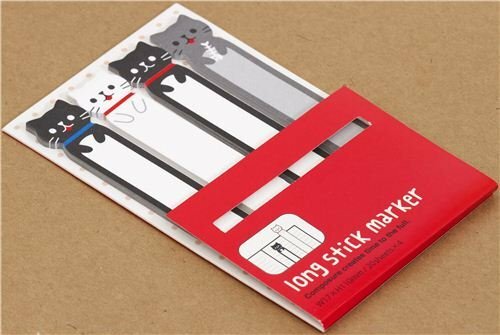 There are a lot of variations of these if you just Google "kawaii bookmark stickers"! I got one of these during the winter and it's been the best because it doesn't cost a lot, it's thin, it doesn't fall apart like paper folders, and it keeps all my papers from getting wrinkled. I got mine from Kinokuniya books in NYC. 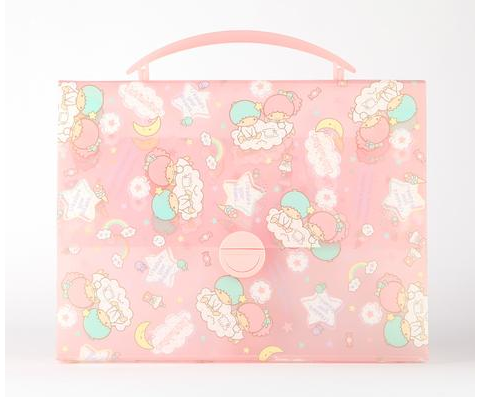 The click through is just to a Google shopping search because there are a bunch of variations of these if you use the search terms "kawaii plastic file folder".